Greetings friends and fellow crafters. 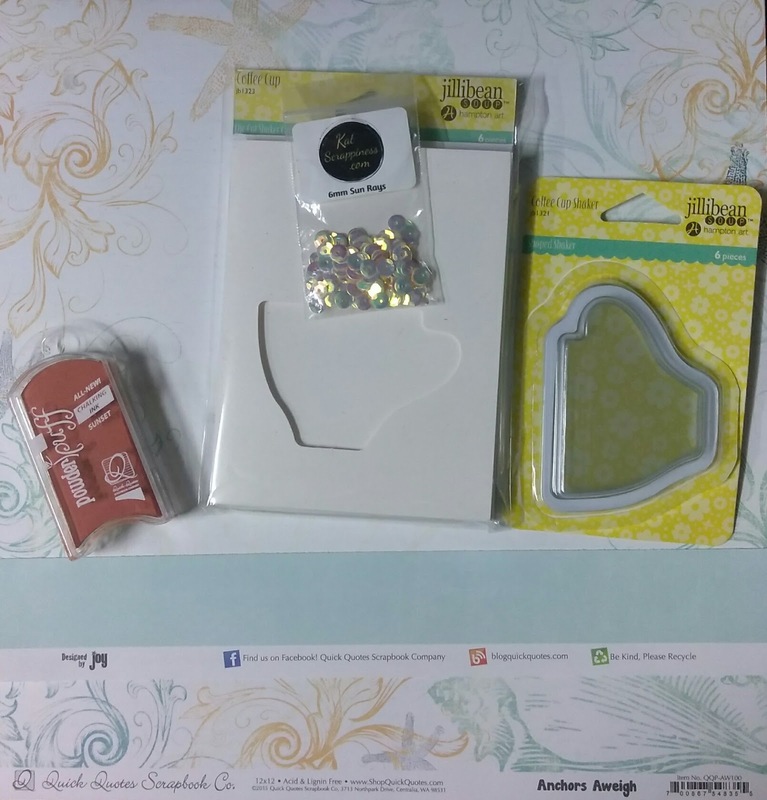 LeeAnn here with Quick Quotes and a shaker card I made with the Anchors Aweigh paper pack. To make this card I used AW100 to make a front panel of 4" x 5.25". I had this card base in my stash from JilliBean and I situated the panel so I could trace the coffee cup cutout onto the paper ad then use my Scan N Cut to cut it in the top panel. I then cut a 4" x 5.25" panel for the inside out of the same AW100. 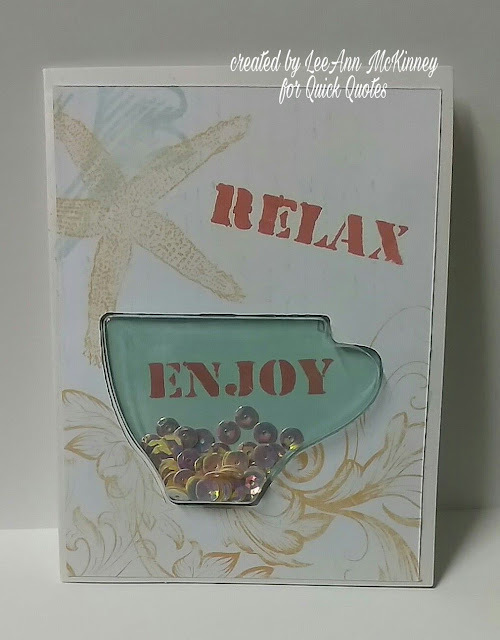 In the June Club Q Kit there were some stencils that had the words Relax and Enjoy. I used the Sunset Powderpuff Chalking Ink to add the words to the inside of the coffee cup and the top of the card panel. To finish up this card I added some Sun Rays colored sequins to the inside of the shaker cup and sealed everything together with double stick tape. Love the shaker card, great card design! Such a fun card! Love the coffee cup shaker! Yay for a shaker - they are my favorite. Love it! Love that paper that you used for this awesome summery coffee card! Beautiful shaker card and love the coffee cup design.